The four-star Bucuti & Tara Beach Resort Aruba has entered the Top 10 on the list of the best of 2016 top 25 hotels worldwide traveler choice awards by TripAdvisor. Chosen for its beauty, the outstanding level of service and for its location on Eagle Beach and for its amenities, Bucuti reached the 8th place on the list of best of 2016 top hotels worldwide traveler choice awards by TripAdvisor. Bucuti & Tara Beach Resort Aruba is still seen as the number one hotel destination in the Caribbean. The resort is well known for its excellent level of service and hospitality and it is generally accepted that this resort is still the third best on the list op the top 25 hotels in the Caribbean when you are looking for a place to stay with outstanding service and hospitality. All the achievements Bucuti has received are based on reviews for the above-mentioned criteria that can be found on the Tripadvisor website. 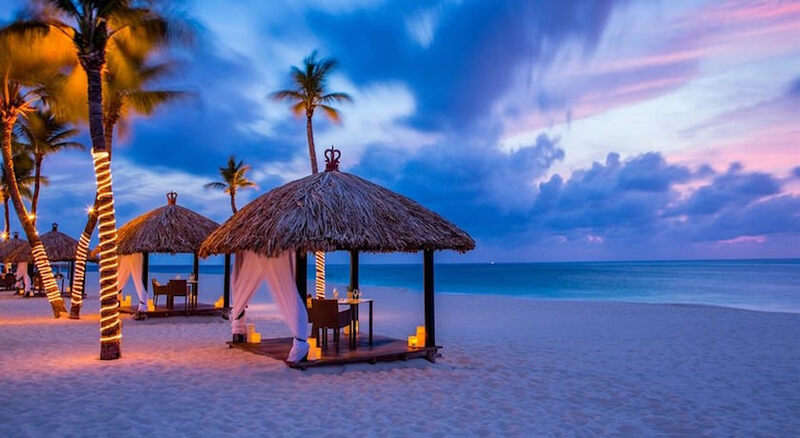 Situated on 14 acres of powder white sand, Bucuti & Tara Beach Resort is Aruba’s most romantic Adults Only (18+) oasis and island paradise. The only boutique-style hotel in Aruba that caters exclusively to couples and adults only, it is nestled on Eagle Beach, far from the maddening crowds and high-rise hotels. Bucuti & Tara Beach Resort is serene and peaceful, perfect for honeymooners and couples looking for romance and relaxation. With only 104 rooms, suites and penthouse rooms, Bucuti offers a more intimate getaway vacation through its award-winning hospitality and world-class facilities and services. All rooms are “clean air” rooms, and the resort is mostly non-smoking, except in a few designated areas. Groups are not accommodated, preserving the quiet ambiance. Bucuti & Tara Beach Resort is centrally located near all major attractions, including the scenic Alto Vista chapel and the California Light House among others. For further information have a look at the Aruba Boutique Hotels section on this website. Next Next post: Aruba Jazz Festival 2016 – Tickets For Sale Now!